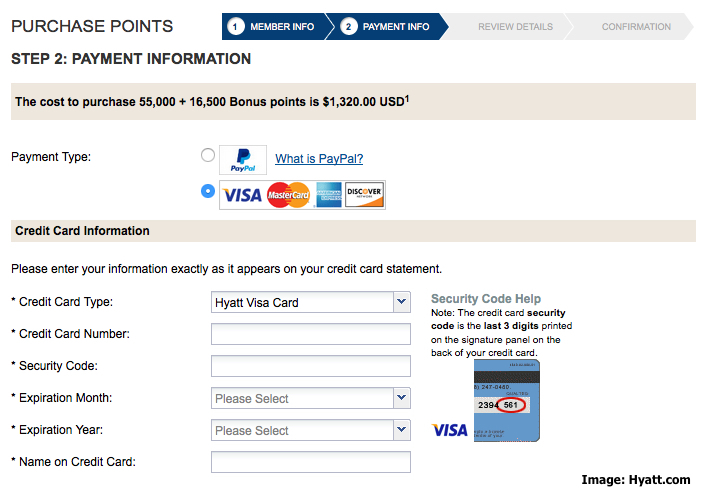 Hyatt Gold Passport has introduced yet another Buy Points Promotion until the end of August 2015. This time the promotion offers a 30% Bonus for all purchases of 5,000 points or more. Buying Hyatt points usually makes very little sense due to the pricing, however it can be worth it to look at individual redemptions to evaluate on a ‘case by case’ basis. Hyatt Gold Passport allows to purchase 55,000 Miles per calendar year plus whatever bonus amount there is available. This already limits the use somewhat since a Cat 7 property (such as the Park Hyatt Tokyo) runs at 30,000 points per Night. You really have to compare paid rates and points rates to see if it makes sense. The maximum you are able to obtain through this promotion are 71,500 Gold Passport Points at a purchase price of 1,320.00 USD which brings the price per point to 1.85 cents per point. You can access Hyatt’s website to purchase points here. Purchasing points at this price make some sense if you plan to stay at properties with very high retail rates and you are willing to pay somewhat in that region. One worthwhile example would be the Park Hyatt Maldives Hadahaa (visit their website here). At 25,000 points per night with the current offer you would pay 461 USD all in per night. A very decent price for this property where daily rates can easily go double this rate plus local tax. Be aware though, the hotel transfer is pricey as well! Hyatt has beefed up their award chart in some ways during the past years. You now really have to do the math what kind of redemption makes sense. Especially in light of the popular Cash & Points redemptions that also count towards status qualification and can be combined with a Diamond Suite Upgrade. I don’t value my Hyatt points at 1.8 cents so this promotion makes little economic sense in my opinion. The only exception is if you stay at properties with a very high tag price and there are no alternative options around where it can indeed provide good savings. Offer available for purchases made between 12:00 am ET August 1, 2015 and 11:59 pm ET August 31, 2015. Bonus points will be awarded upon completion of individual transactions. Offer only available when points are purchased for the purchaser’s account. Offer not valid for transactions gifting points. Offer may be withdrawn or changed without notice. Offer cannot be combined with any other offer. Only purchases made online are eligible for the promotion.